Melbourne is the first stop for the 2012 Rockwell Automation on the Move series, which will commence on 6 March, 2012 with a free two-day event at the Melbourne Park Function Centre. Designed to showcase technology, products and services to industry, the 2012 Rockwell Automation on the Move event will demonstrate how automation, process control and safety solutions can be combined to provide an integrated, plantwide system to optimise business operations and leverage opportunities in the marketplace. Visitors will have the opportunity to interact with industry experts as well as participate in hands-on labs and view displays at venues in Melbourne, Sydney, Brisbane and Perth during the first half of 2012. The Rockwell Automation on the Move exhibition features more than 1400m² of display space in addition to three lecture rooms for presentations and interactive workshops. The Rockwell Automation integrated architecture solution for network connectivity, PlantPAx, power solutions, intelligent motor controls, software applications and Service & Solutions information kiosks are some of the highlights of the event. 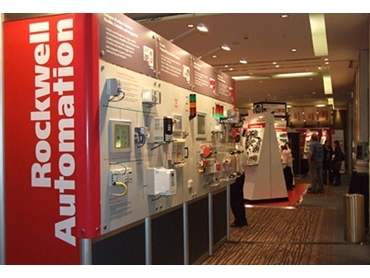 Rockwell Automation distributor throughout most of Australia and all of New Zealand, NHP plans to have a display area at the event. According to Simon Kearney, NHP’s General Manger – VIC/TAS, the eye-catching NHP Zone will feature the specialised Micro 800 series PLC master classes, allowing their guests from the electrical industry the chance to explore their technology sandpit. According to Richard Jerums, Marketing Programmes Manager, Rockwell Automation South Pacific, the Melbourne Park Function Centre allows the company to showcase the full scope of technology and solutions not only from Rockwell Automation, but also from their distributor NHP and affiliated machine builders and OEMs. He adds that visitors will have a tremendous opportunity to learn about process control, automation, sustainability and safety at the event. The Safety Forum that runs alongside the Rockwell Automation on the Move event will feature electrical safety techniques and technologies that enhance safety for personnel and equipment. Beginning with Melbourne, Rockwell Automation on the Move will progress to Sydney (2-3 May), Brisbane (22-23 May) and Perth (6-7 June).